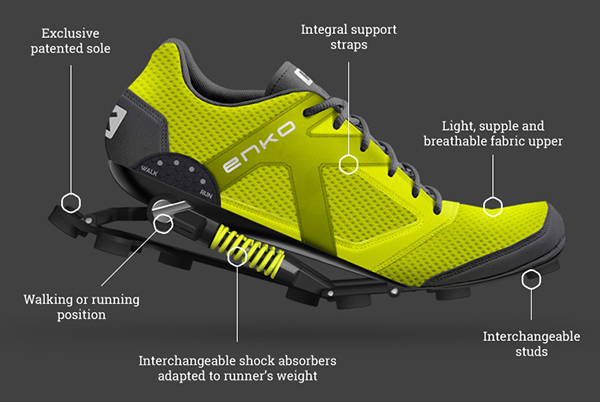 Overview: Wild in both function and aesthetic, Enko is a revolutionary running shoe which, with its two shock absorbers, conserves all the energy stored in each stride. With a normal shoe, when your foot touches the ground, the energy is completely lost. 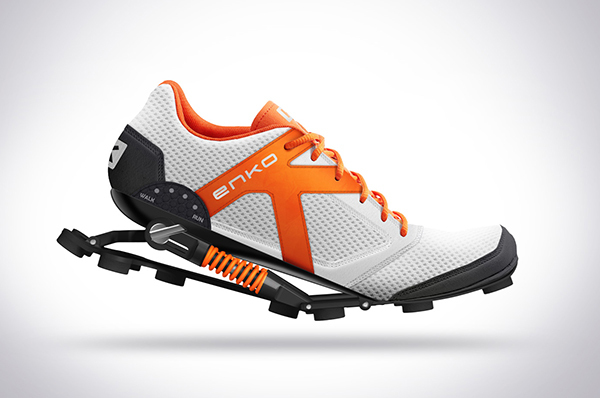 In contrast, Enko stores up the energy and redelivers it when you lift your heel off the ground again to make your running extremely efficient.